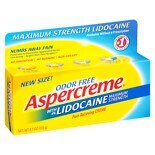 Shop Aspercreme Creme with Lidocaine (4.7 oz. )4.7 oz. 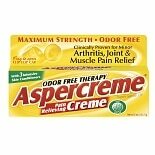 Shop Aspercreme Pain Relieving Creme (5 oz. )5 oz. 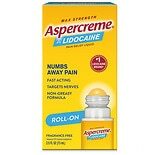 Shop Aspercreme Lidocaine No-Mess Roll-On (2.5 oz. )2.5 oz. 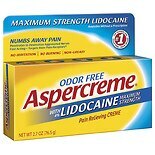 Shop Aspercreme Maximum Strength Lidocaine Pain Relieving Creme (2.7 oz. )2.7 oz.